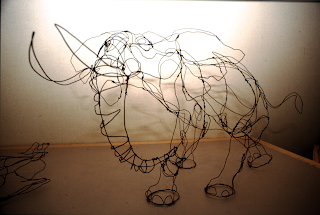 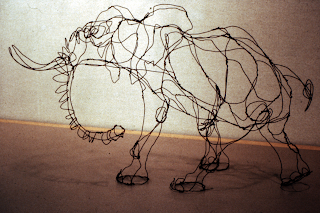 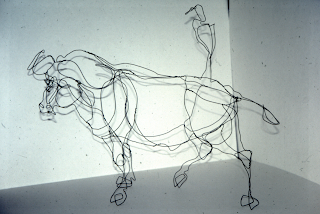 It is difficult to photograph these wire sculptures, because a photo doesn't give you the third dimension. 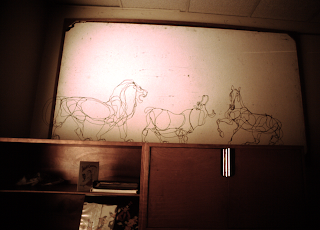 Nevertheless I wanted to post a few images here in order to give you a rough idea what these things look like. 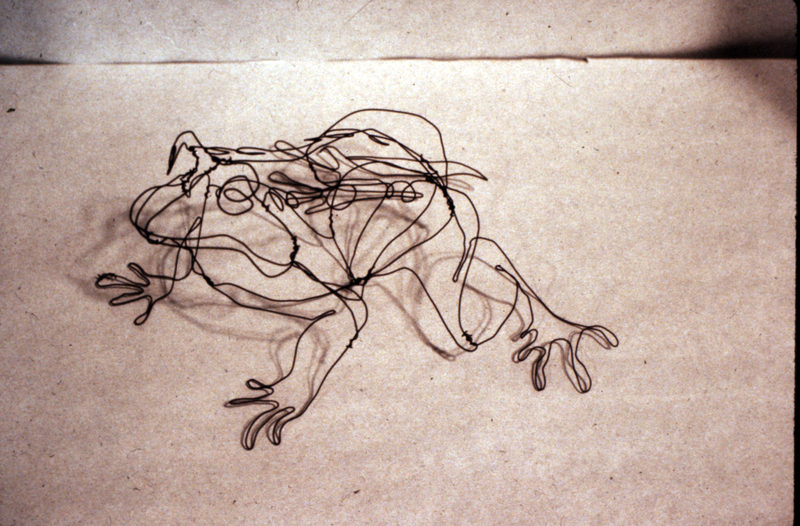 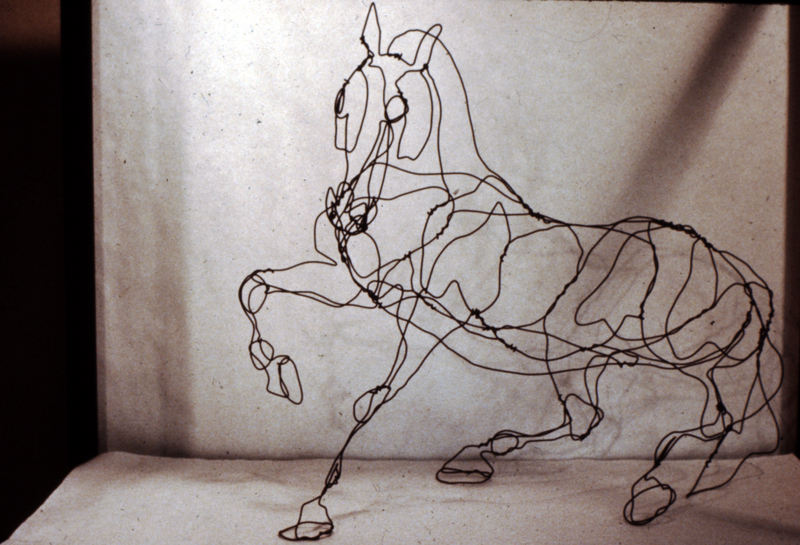 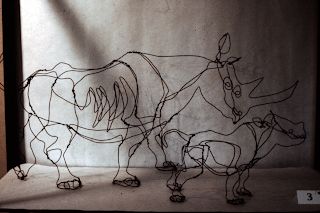 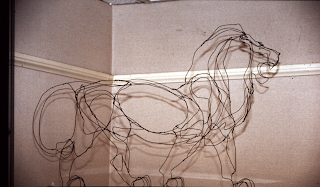 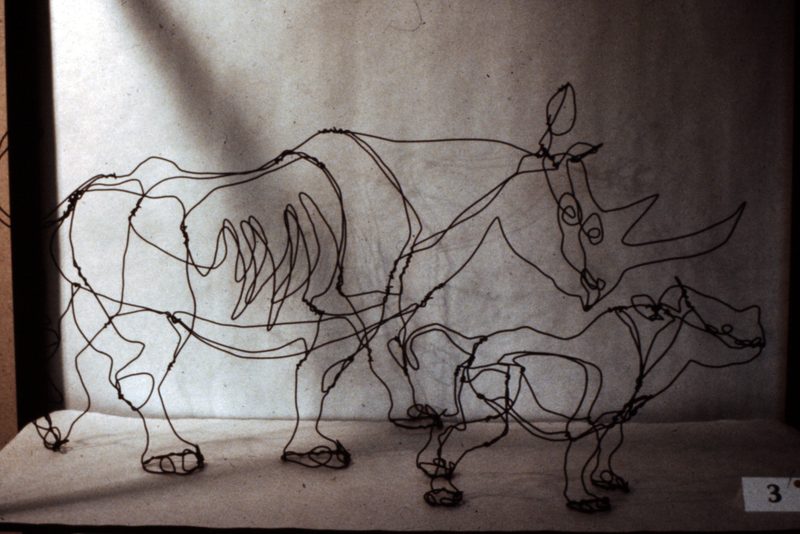 I first time I saw wire sculptures was when I visited Milt Kahl and had lunch at his condo near SF. Those things blew me away, Milt Kahl drawings that take up space. For years I thought, don't even bother to try something like this. 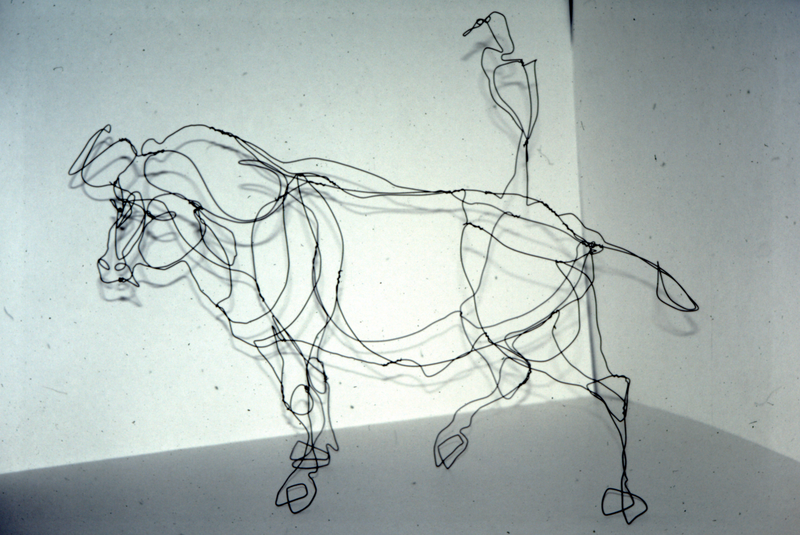 But eventually I wondered, what would happen if I do these sculptures MY way. Milt used soldering to connect pieces of wire, I just made knots to hold them together. My first two pieces were a small horse and a cow. 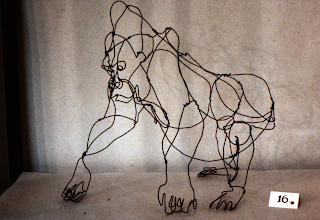 It got me excited enough to keep going and develop my style into something presentable. 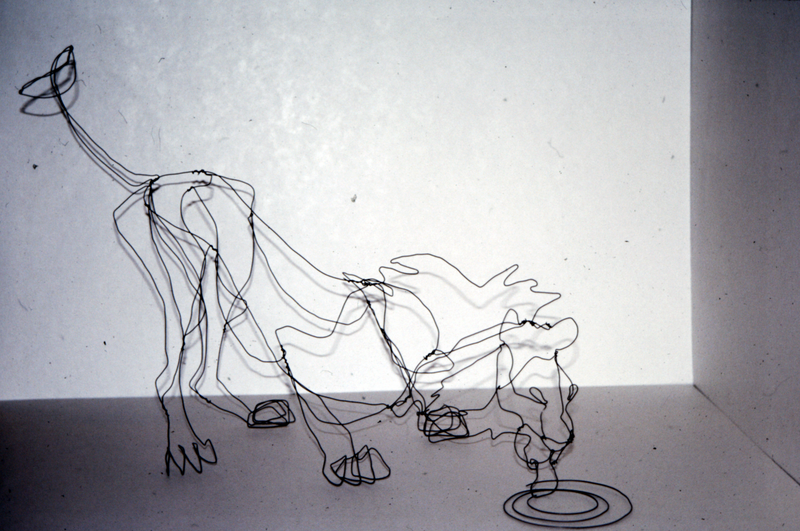 Most of these photos were taken by Hans Bacher, he actually produced a left and right eye slide of the object, and with the help of a sort of a view master they can still be viewed in 3D. 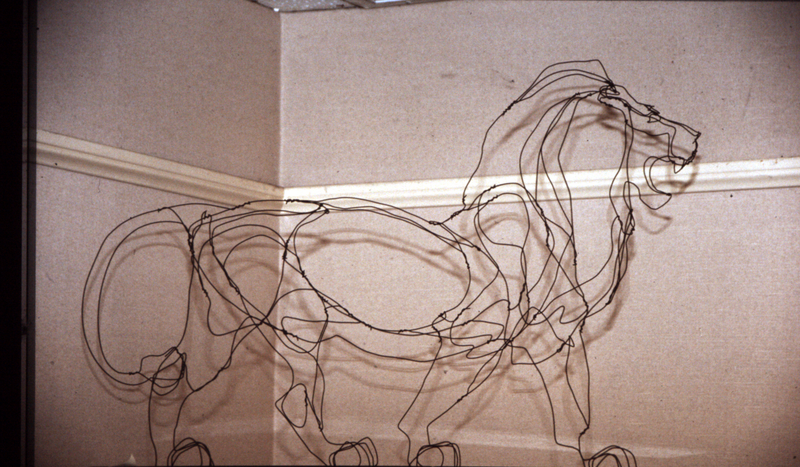 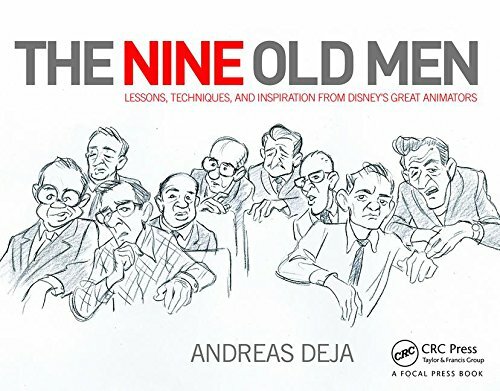 A lot of these sculptures were part of a charity exhibit at Disney quite a few years ago (my second exhibit at the studio, not the one Miss Audley saw.). 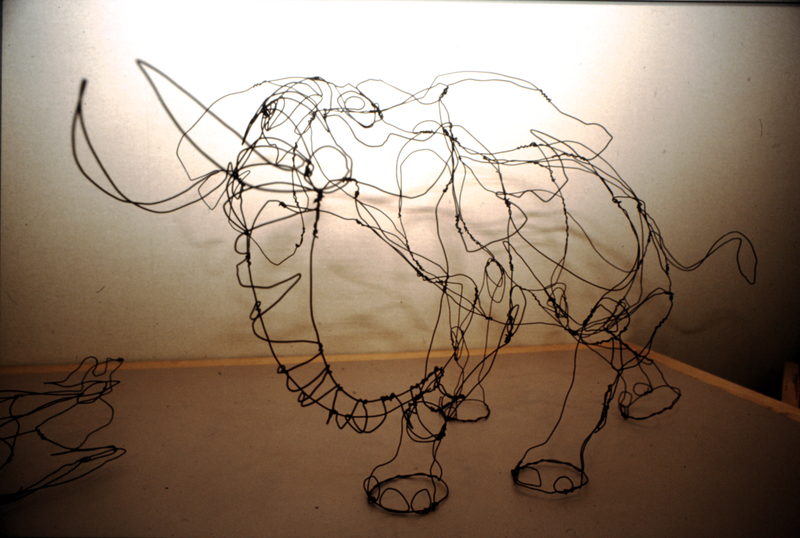 The proceeds went to the World Wildlife Fund to help the black rhino from extinction.